Are you finding the best phone under 30000 Rs.? If yes, then stay and read this post. As of September 2017, over a hundred new models of smartphones have hit the market. Many of them have features that no one has ever seen, some claim that they have improved their existing features. It makes buying difficult for a buyer because they do not have the means to test the products beforehand. That is why I tried to help. In this article, I will give you list of the best smartphones under 30000 Rs. with pros and cons as of now. I have personally tested every smartphone in the list in various aspects. So, you can be sure of the authenticity of the article. I have also discussed the negative sides as well so that you do not end up making a wrong decision. Here is the complete list of the best smartphones under Rs. 30000. It contains detailed information, pros and cons, and finally suggestions on who should buy that particular phone. 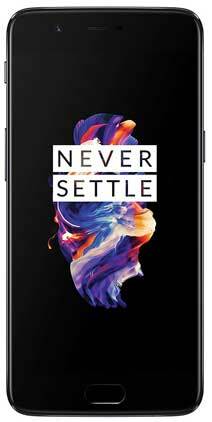 OnePlus has launched their new OnePlus 5 smartphone in June 2017. The highlighting factor of the phone is its camera. It has a 5.5 inch AMOLED display. It is a 1080p resolution display. The screen is perfectly visible even in direct sunlight. The picture quality, color reproduction, and sharpness are also very good. However, the auto brightness sensor is not quite up to the mark. You have to manually adjust it pretty often. However, the auto brightness sensor is not quite up to the mark. It works well in bright sunlight. However, in artificial lights and in low-light conditions, its performance tends to decrease. You have to manually adjust it pretty often. The OnePlus 5 has a Snapdragon 835 Octa-core processor. It is a flagship processor and does the job really well. There is no visible lag on multitasking. RAM management has also been done very good. Overall, you would not find me complaining about the processor. Now, coming to the camera, it is the highlighting feature of this device. It has dual rear-facing cameras. One is a 16 MP lens and another one is a 20 MP telephoto lens. The telephoto lens can zoom up to 2X. The camera quality is absolutely amazing. It is better than the OnePlus 3 and OnePlus 3t. Pictures clicked in good lighting conditions appear spectacular. Also, it can click nice snaps even in artificial and low-light conditions due to its aperture of f/1.7. It has a portrait mode that is similar to the iPhone 7. The rear-facing cameras can take videos in 1080p and in 4K. Even the front-facing camera can record videos in 1080p. On the downside, although it has Electrical Image Stabilization (EIS), it does not have any Optical Image Stabilization. As a result, the videos shot in 4K appear shaky as the electrical image stabilization does not work here. This is a disadvantage, especially when the camera is the main feature of the phone. The phone runs on the latest Android Nougat operating system. It makes your work even easier. In addition, it has the User Interface (UI) is very similar to the stock Android UI making it even better for you. The build quality is amazing in this phone. Even with the 5.5-inch screen, OnePlus has managed to reduce the weight to 153 grams. As a result, it feels lighter in hands. The curved borders and rounded edges make it even easier to hold. It has a metallic finish back. The front is similar in looks to the OnePlus 3t whereas the back is similar to the iPhone 7+. So, build quality is a huge plus in this device. It has a 3300 mAh battery which is lesser than the OnePlus 3t. It had a 3400 mAh battery. The battery life is sort of average in this device. Even for a basic user, it does not last for more than ten hours. And if you are a heavy user, it will last you about eight hours. So, you will have to charge it every day regardless of your use. The OnePlus 5 has an Adreno 540 GPU unit. It is quite powerful which shows in gaming. It handles some pretty heavy games such as the Mortal Kombat X, Mortal Combat 5, Leo’s Fortune, and so on without any lag. However, if you play Asphalt 8 on the highest graphics settings, you will see some frame drops during the game. All in all, the gaming performance is quite good on this device. No Optical Image Stabilization, Galaxy S8 is better in this aspect. Even the Redmi Mi6 has it. OnePlus 5 is a pretty good smartphone in the price range. Especially if you want a great camera in your smartphone, it has it for you. Of course, the flagship devices such as the Galaxy S8 and Pixel have better cameras, but at this price point, it is certainly one of the best. Moto Z2 Play is the updated version of the original Moto Z Play. It was launched in June 2017. It has dual SIM card slots and a dedicated microSD card slot. For the display, it has a 5.5 inch AMOLED display with 1080p resolution. The screen performance is very good. It is almost similar to it predecessor the Moto Z Play. It scores well in every aspect, be it picture quality or color reproduction. The Auto Brightness sensor is also very good. You would not have to worry about fixing it manually. So, in the display, Motorola has done a great job. The Moto Z2 Play has a Snapdragon 626 Octa-core processor. The processor is very efficient. It handles the day to day tasks pretty easily. In addition, it does not lag even on multitasking. If you are someone who loves switching apps quite often, you will love this device. Motorola has opted for a 12 MP rear-facing camera and a 5 MP front-facing camera. And I have to say, they have improved the camera quite a lot from the Moto Z Play. Both the cameras click amazing pictures in outdoor lighting conditions. Also, the rear-facing camera has an aperture of f/1.7. As a result, it can take very nice snaps even in low-light conditions. It even has laser autofocusing system. So, the camera can quickly focus on the desired subject. In this aspect, I did not find any issues with this phone. Android Nougat is the operating system in this device. In addition, the UI is almost similar to the stock Android UI. The operating system and the UI make your user experience even better. Handling the smartphone is quite easy. Regarding build quality, it has a metal back. It looks and feels premium in hand. The best part is, it is a lot slimmer than the Moto Z Play. Therefore, it is easier to hold for extended periods. However, there is a camera hump at the back. Some might not consider it an issue, but I personally do not like it. I think many other people would not as well. Now, it has a 3000 mAh battery. Although it looks just about average on paper, the performance is actually quite good. It will last you a typical working day with relative ease. So, it is not the very best, but it is decent enough. I tested the phone’s gaming performance with quite a few heavy games. It has an Adreno 506 GPU unit. I tested it for Mortal Kombat X, Mortal Kombat 5, Dead Trigger 2, and Asphalt 8. It did well in almost every game. However, with the Asphalt 8 in highest setting, it did lag quite a bit. So, you need to keep that in mind. The Moto Z2 Play is for those people who want a good camera along with good enough battery life. The big player in the market, Samsung, launched their Galaxy C9 Pro in October 2016. It has 6 GB RAM and 128 GB of internal storage. The display is pretty big on this phone. It has a 6 inch Super AMOLED screen. The display quality is amazing. THe phone is ideal for watching movies and playing games when it comes to the display. It is very bright. You can clearly see the screen even in direct sunlight. The Auto Brightness sensor also performs really well. There is no need to adjust it manually. Samsung has given the Always-On display in this one. However, it does not consume more power because of the Super AMOLED screen. So overall, I am happy with the display performance of this phone. Samsung has opted for the Snapdragon 653 Octa-core processors. This is one of the best processors out there in the market right now. It handles the day to day tasks pretty easily. Also, the phone does not lag even on multitasking. The TouchWiz UI makes the user experience even better. The device has a 16 MP rear-facing camera and a 16 MP front-facing camera. The camera performance is just about average. This is disappointing especially considering the price point. It takes good pictures in good lighting conditions. However, in artificial light and low-light conditions, the camera does not perform well. The OnePlus 3t, LG G4 and the OnePlus 5, all have a better camera than this one. It does not support 4k videos. In addition, you can not even get the slow motion and time-lapse features. There is no optical image stabilization as well. As a result, the videos appear shaky and blurry. In a nutshell, the camera is just not worth it. It runs on Android Marshmellow operating system. Again, a bad decision by Samsung. Although Android Marshmellow is indeed a good operating system, many smartphones in the same price range offer Android Nougat. Nougat is a newer version of Android which is, of course, better than Marshmellow. However, it does not lag on multitasking. The TouchWiz UI makes things better for the user as well. The build quality in this phone is pretty good. The metallic finish back is sturdy and durable. It looks and feels good enough in the hand. However, if you take voice calls for long periods of time a lot, then the big size can prove to be tiring to hold for you. The Galaxy C9 Pro has a 4000 mAh battery. However, even with it, the battery life is nothing more than average. For casual and mid-level users, it will last up to a day. On the other hand, for heavy users, it lasts about ten hours. Although it supports quick charging and also has a fast charger that comes with it. You can find smartphones with better battery life in the price point, and in fact, even in a lower price point. Now, coming to the gaming performance, it is pretty impressive. The phone has an Adreno 510 GPU unit. I tested many heavy games, and it mostly worked fine. It takes quite a bit of time to load Mortal Kombat X but runs it just fine. In addition, Leo’s Fortune and Noah 3 run pretty well on the phone. However, there is a lagging in Asphalt 8, if you play it at the highest graphics settings. Although, if you lower the graphics settings, it plays fine. Another good news is, it does not heat up even on heavy gaming. In this place it better than the Coolpad Cool 1, which used to get pretty warm. The Samsung Galaxy C9 Pro is for someone who wants a Samsung phone with a big screen. But if you ask me, there are a lot better smartphones out there than this one such as the OnePlus 3t, OnePlus 5, and LG G4. Huawei launched their Honor 8 Pro in April 2017. The smartphone comes with 6 GB RAM and 128 GB internal storage. The phone has a 5.7-inch QHD IPS screen. It has a tab like a screen similar to the Samsung Galaxy Note series. The viewing angles are very good. Picture quality, contrast, color reproduction, the display is nice in every aspect. However, the screen is not clearly visible in direct sunlight. The Auto Brightness Sensor works quite well though. The Honor 8 Pro runs on the custom Kirin 960 Octa-core processor. It makes day to day operations smoother. In addition, multitasking is also easy with this processor. I do not find any major issues with the processor. It has two 12 MP rear-facing cameras and an 8 MP front-facing camera. A rear-facing camera has an RGB sensor whereas the other one has a Telephoto sensor. The smartphone takes good parts from both the cameras and merges them for the best result. The cameras can take nice snaps in good lighting conditions. However, in artificial lights and low-light conditions, their performance deteriorates due to the high aperture of f/2.2. Therefore, the picture appears noisy. There is no optical image stabilization similar to the OnePlus 5. As a result, it can not shot good videos in 4K. It records 1080p videos with relative ease. Overall, the camera is decent enough. Of course, flagship phones such as Samsung Galaxy S8 and Pixel are better. But this one is not bad either. Android Nougat is the operating system in this phone. It is a very good operating system for any phone. The UI is almost similar to the stock Android UI. That makes things even easier for you. The build quality is very good in the Honor 8 Pro. It has a metallic finish back. It looks and feels nice in the hand as well. The phone has gorilla glass 3 protection on the screen as well. 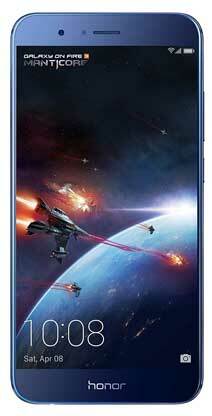 Honor has done well in terms of build quality. It has a 4000 mAh battery. The battery life is indeed amazing. It lasts for two days for basic users. In addition, even for heavy users, it will last for a typical working day as well. The phone has Mali-G71 MP8 GPU unit. I have to say the gaming performance is exceptional. It runs all the heavy games without any lag. Mortal Kombat 5, Mortal Kombat X, Noah 3, and even Asphalt 8 runs without lagging in this phone. However, it does get a little warm on heavy gaming. If you want a phone with brilliant hardware and excellent gaming performance, go for the Honor 8 Pro. Oppo is the parent company of OnePlus. They have launched their Oppo F3 Plus in March 2017. As usual, selfie cameras are the main selling point for the phone. It has a massive 6-inch 1080p IPS screen. The display is quite similar to the Samsung Galaxy C9 Pro. The display performance is good enough. Brightness, contrast, and sharpness decent in the phone. However, color reproduction is just mediocre. The Oppo F3 Plus runs on the Snapdragon 653 Octa-core processor. It is quite good to have on any phone. There is no lag in multitasking either. The camera is the best feature in this phone. It has two front-facing cameras, one 16 MP and another 8 MP. In addition, the rear-facing camera is also 16 MP. It uses the Sony IMX 389 sensor. The front-facing cameras are a regular selfie shooter and a wide selfie shooter. However, in low-light conditions, the camera performance is not up to the mark. The pictures appear noisy. The same thing is experienced in videos as well. Although in good lighting conditions, pictures look extremely well. Oppo has opted for Android Marshmellow operating system in this phone. It is a good operating system. However, updates are really slow in Oppo phones. So, there is no guarantee when it will receive an update. Also, you can find many smartphones with the newer Android Nougat operating system in the same price range. Build quality is nice in the Oppo F3 Plus. It has a metal back. The phone is sturdy and durable. It looks and feels really nice in hand. The phone has a 4000 mAh battery inside it. The battery life is just about average. It lasts up to ten hours for heavy users. For basic users, you will get about a typical working day’s worth. Adreno 510 is the GPU unit in the phone. It handles quite a few games pretty well. However, when playing Asphalt 8 and Noah 3, there is quite a lot lagging that is visible. If you are someone who takes a lot of selfies, you can buy the Oppo F3 Plus. 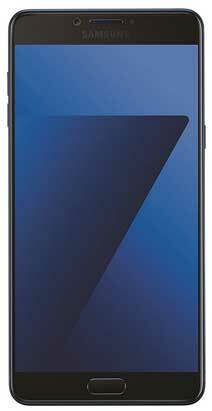 The Samsung Galaxy C7 Pro is the upper midrange phone from Samsung. It was launched in January 2017. The smartphone has a 5.7 inch Super AMOLED display. The screen is adequately bright even in direct sunlight. It has an Auto Brightness sensor that works just fine as well. There is also an Always-on display mode available. All in all, Samsung has done well in terms of display. Samsung has opted for the Snapdragon 626 Octa-core processor. It is quite similar to its predecessor the Snapdragon 625 Octa-core processor. The performance is really nice. There is no visible lag even on multitasking. Also, the RAM management has been done well. Now, coming to the camera, it has a 16 MP rear-facing camera and a 16 MP front-facing camera. Both the cameras click good pictures in outdoor lighting. The focusing is also accurate. However, in artificial lighting and low-lighting conditions, the camera performance is really poor. In terms of videos, again, there is no optical image stabilization. So, they appear blurry and shaky if you move at all. You need to keep still when shooting a video. The audio pickup in videos is quite good though. Overall, the camera is just about average. The phone has Android Marshmellow as its operating system. Again, I do not understand this decision. Yes, Marshmellow is a good operating system. But there is the newer version Nougat available. Many phones in the same price region such as OnePlus 5 and Moto Z2 Play offer Nougat. But Samsung, for some strange reason, has stayed with Marshmellow. The build quality is very good on this phone. With its metal back, the in-hand feel is nice. It looks premium. If you care about your phone’s look, you would like it. It has a 3300 mAh battery which is sealed inside. I have to say I am satisfied with the battery life. Even when it looks average on paper, it gives a day’s worth of battery life even for heavy users. For casual users, it will last about one and a half days. Gaming performance is also good in the Galaxy C7 Pro. In fact, it is better than the Samsung Galaxy A5 Pro. It plays heavy games such as Leo’ fortune, Noah 3, and Dead Trigger 2 without any lagging. Also, there is no overheating even on extended gaming. However, in Asphalt 8 and Asphalt Extreme there are frame drops when in the highest graphics settings. In my opinion, the Samsung Galaxy C7 Pro is for someone who wants the brand name of Samsung. In addition, the basic users can also buy this phone. Otherwise, there are many better options such as the OnePlus 5 and the Moto Z2 Play. Every phone in this list has top-notch features. However, to help you decide even better, here is a final choice. If I have to choose a single phone from the list, it would be the OnePlus 5. It has an amazing camera, AMOLED display, and good build quality. In addition, it comes with the Android Nougat Operating system and the Snapdragon 835 processor. THe gaming performance is also very good. Yes, the battery life is not its strongest features, but you will have to remember there is no perfect smartphone. In this price point, the OnePlus 5 is really a nice buy. So, these are the best smartphones under Rs. 30000 as of now. I hope the article was enjoyable and helpful. I am also hopeful that it will help you make the right decision. If you have any question regarding best phone under 30000, then you can ask me via comment.